Unlike other cultures Persian wedding is an event which is celebrated at its best from ancient times with a large assembly and feastings without sparing expenses, and still remains the same even though their culture has hugely affected by Islamic religion and traditions. 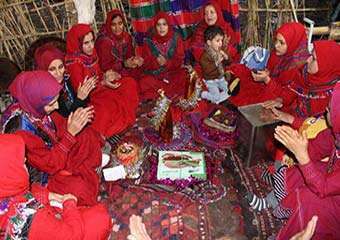 Persian wedding process is started from a tradition called “Khastegari” which is the process of asking the hand of a woman. 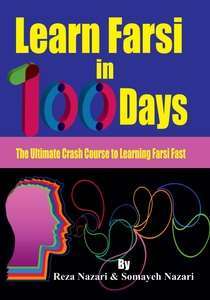 In early days most marriages were arranged by families and therefore this tradition was highly practiced. Parents of the groom will take him to see the potential brides and decide the matching bride considering her wealth, family background religion etc. 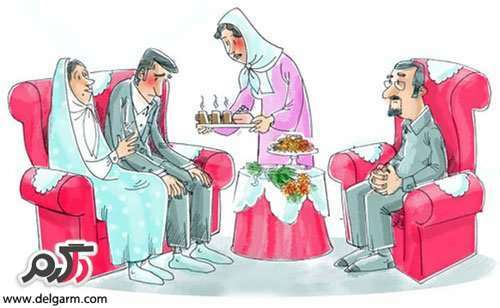 Even in the modern days when people are more likely to get married after love affairs, as a tradition most Iranians allow their families to make the proposal to the bride’s family showing their respect to the cultural values even though they have already taken the decision by themselves. After making the proposal families meet together and discuss the merits of bride and groom in order to confirm the proposal. “Baleh Boran” is another part of this pre-wedding process and both parties will announce their intention to get married to the public. In this ceremony groom’s family usually gift a ring to the bride to appreciate her willingness to join the family. Henna night “Hanna bandoon” will be taken place before the wedding day and henna is applied to the bride’s hand. 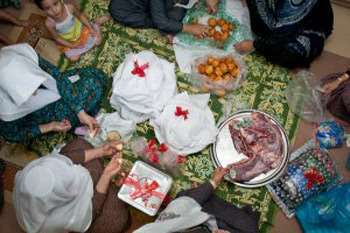 The official wedding begins on the following day and can be separated into two parts as ceremony which is called “Aghd” and reception called “Mehmoonee”. 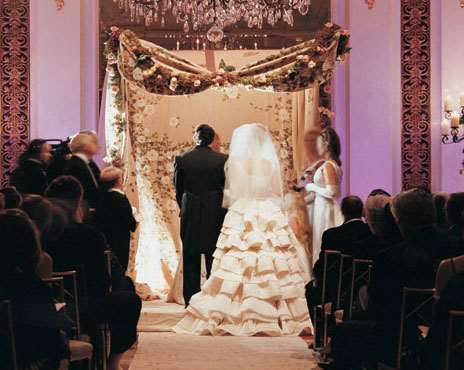 In the “Aghd” part, the groom will sit on a bench facing guests and the bride will sit next to him in his left side showing her respect for him to stay on right side. Official marriage documents are signed and wedding vows are exchanged in this ceremony. 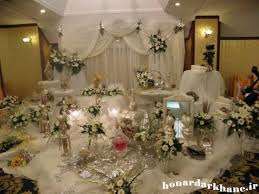 Some females from bride’s family will hold a canopy above his head and a symbolic table called “sofreye aghd” can be seen in front of the couple. This is the most important part of the table and they symbolise light and fire which are very important icons of Persian culture. When the bride sit next to the groom veil is removed and groom sees his wife’s reflection through the mirror.